*OWN: Oprah Winfrey Network will simulcast Dr. Maya Angelou’s private memorial service in celebration of her legacy being held at Wake Forest University in North Carolina this Saturday, June 7 at 10 a.m. ET / 7 a.m. PT. Winfrey has been in North Carolina helping to organize the service, to be held at Wait Chapel on campus. Wake Forest University spokeswoman Katie Neal said Friday that former President Bill Clinton and First Lady Michelle Obama will be among the attendees. Mrs. Obama will deliver remarks. Saturday’s service is closed to the public, but Wake Forest says it will stream the memorial event online at go.wfu.edu/angeloumemorial. 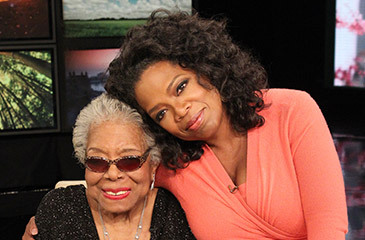 The service will also be available to view on Oprah.com at www.Oprah.com/MayaAngelou. Angelou died last week at her Winston-Salem home at age 86.